The Vermont Farmstead Cheese Company is the first community owned artisan cheese and dairy facility in Vermont, begun as a neighborhood effort to save a local hillside farm and its surrounding rural landscape in South Woodstock, Vermont. In very short order, the dairy farm was transformed into an award-winning cheese company that is creating an entirely new generation of unique farmstead and artisanal cheeses. Vermont Farmstead’s multi-breed herd, sustainable dairy farming, and creative cheese makers have added a distinctly Vermont take on traditional “old-world” cheeses. In 2012, they created a cut and wrap and shipping facility in Windsor, Vermont, to help with the ongoing company growth. While eagerly embracing the effects of this anticipated growth, the company remains firmly dedicated to its founding principles to produce a variety of unique and excellent cheeses, gently care for its own herd of cows and farm land, serve as a model of sustainable dairy farming, and support Vermont’s family farms and rural communities. The entire line of Vermont Farmstead cheeses is all made in small batches at the farm and creamery in South Woodstock, Vermont. The farmstead milk comes from their mixed herd of Holstein, Jersey, Ayrshire, Brown Swiss and Milking Shorthorn. This blend makes for exceptional milk with each breed contributing a different component for a unique and excellent combination for cheese. 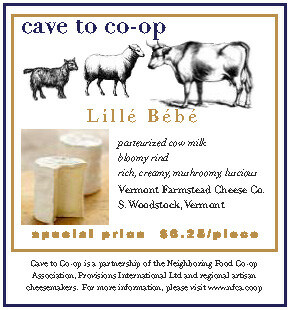 Any other milk that is brought in for their artisanal cheeses is 100% Vermont milk from local farms. All natural farmstead and local milk, careful artisanal, hand-crafted cheesemaking, along with a love of old world cheeses, have resulted in a wide array of delicious, award winning cheeses. Whisk the eggs, milk and herbs in a bowl. Add salt and pepper. Heat the butter in a non-stick saucepan over medium heat until the foam subsides. Set heat to low and add the egg mixture and cook slowly, occasionally using a rubber spatula to pull the egg from around the edges into the center of the pan, until the eggs are set into soft curds, about 5 minutes. Scatter the cheese on top and gently fold the curds over it. Remove from the heat and cover until the cheese is melted, about 1 minute. Serve with hot buttered toast. If using a grill, pre-heat it on high for 15 minutes. Mix parsley into the ground turkey and shape it into 4 round patties about 1-½ inches thick. Make a little ‘well’ in the center of each, place 1 piece of cheese in each and press the turkey up and around to cover the cheese completely. Brush both sides of each burger lightly with olive oil and season with salt and pepper. Grill according to your specific grill instructions, about 4-5 minutes each side. Alternatively, you can cook the burgers on the stove. Brush a sauté pan with a small amount of olive oil and bring to a medium-high heat. Place the burgers in the pan and cook for 5 to 6 minutes on each side. While the burgers are cooking, brush the apple slices with olive oil and set aside. When the burgers are cooked through, remove them from the heat, cover lightly and set aside for 5 minutes. Cook the apple slices in the pan or on the grill until they are golden and caramelized. Toast the bread, spread with mayo, then place a burger on the bottom, top with some apple, arugula, then top with bread. In a large pan over medium heat, fry the bacon until crisp, remove and drain. Add the garlic and shallot to the pan and sauté until fragrant. Lower the heat, add the kale, coat with the fat in the pan and cook until it begins to wilt, 5-10 minutes. Turn off the heat and cover. Cook the pasta according to package instruction. Drain, reserving ½ cup of the pasta water. Add the pasta and the pasta water to the pan with the kale. Turn heat to medium and toss until the water is absorbed. Add the cheese, bacon, salt and pepper and gently mix until the cheese is melted and has coated the pasta. Serve with extra freshly ground pepper. serves 2-4, depending on your appetite! In a medium saucepan, melt the butter over medium heat. Add the diced apples and cook, stirring occasionally for 5-7 minutes, until soft and slightly caramelized. Add in the sugar, cinnamon, and nutmeg. Mix well and continue to cook, stirring occasionally, until most of the liquid has evaporated, about 12-15 more minutes. Remove from the heat and let the mixture cool to room temperature. Lightly butter a pie plate or line with parchment paper. Transfer the puff pastry to the prepared baking pan. Cut the Lillé in half horizontally to create two thinner rounds. Place the bottom half of the cheese in the center of the puff pastry. Top with about half of the apple mixture. Place the other round of the cheese over top, covering with the remaining apple mixture. Bring the puff pastry up around the edges of the brie-apple tower. Fold and pinch the edges in the center to hold everything together. Brush the surface of the puff pastry lightly with the egg wash. Bake for about 40-45 minutes, or until the puff pastry is golden brown, crisp, and bubbling with cheese and apple. Remove from the oven and allow it to cool for about 10 minutes before serving. Place peach halves in a baking dish. Top each with a piece of Lillé. Drizzle with maple syrup and top with walnuts, or use the honey and herbs. Bake for 10 minutes, until cheese is melted and bubbly.